When ten-year-old Cory Farris causes a stir at a funeral, his behaviour is misinterpreted and sparks a cascade of events that change the lives of everyone he meets. In spite of his naivety and awkward manner, he finds that as he matures, people are drawn to his quiet ways and he shares their ordeals, all except one, an old enemy who has shown only hostility. A menacing young man of the cloth loses his faith in humanity - until that is, he is drawn to the place where Cory and his new allies will witness his ultimate and satirical battle with the devil. Cory will soon discover that an old enemy's cry for help can also be misinterpreted. People are not what they seem but redemption and change can be found in the strangest of places. 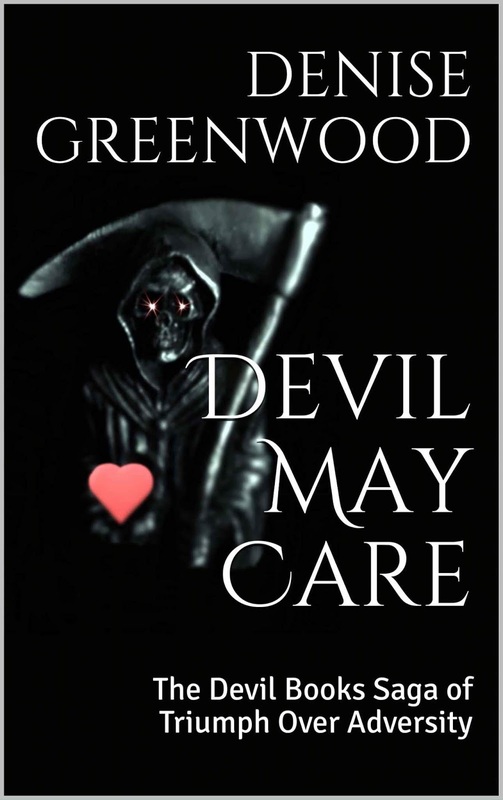 Devil May Care is the first in an increasingly dark saga. It is followed by Devil's Pursuits, a crime mystery. The third book, Crushing Curiosity, is a gripping psychological thriller. As a small bistro is plagued by a string of mysterious deaths and a redeemed man of the cloth continues his quest to find his place in the world, Cory once again finds himself surrounded by peculiar people with hidden agendas. In the midst of it all, a beautiful but troubled young woman ignites the passions of everyone she meets then disappears. A mystery unravels as Cory navigates his way through intrigue, scandal and death. 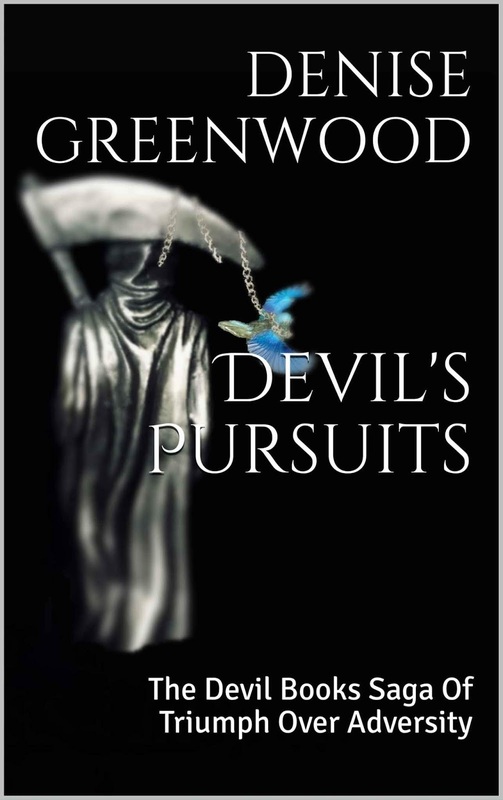 Following the first episode of this compelling series, Devil May Care, Devil’s Pursuits is the much-anticipated second book in Denise Greenwood’s captivating saga of triumph over adversity. 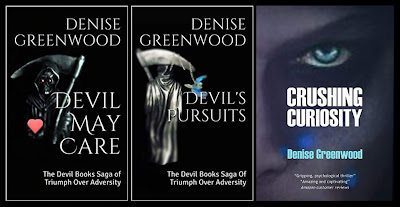 Following the first two books of this unique series, Devil May Care and Devil’s Pursuits, Crushing Curiosity is a much-darker third book in Denise Greenwood’s captivating saga of triumph over adversity. It can also be read as a stand-alone story but you will be compelled to find out how Caprice from Devil’s Pursuits, made it this far and kept her sanity, or did she?